Below you can browse through our most frequently asked questions in order to help answer any questions you may have. Can't find the answer you are looking for? Simply call us on: (01803) 294 361 and speak to a friendly member of staff. The Livermead House does not have a no pets allowed policy, but we do not allow pets in the Restaurant or the Lounges. Please check with the hotel before booking regarding dog friendly rooms and availability. Can I check in late at night / very early in the morning? Yes The Livermead House has a 24 hour reception. It is recommended you advise the hotel if you are arriving late or would like to checkout early. Smoking is strictly prohibited throughout all public areas and bedrooms. The use of E-Cigarettes throughout The Livermead House is also prohibited, in both public areas and guest bedrooms. Is there parking at all The Livermead House? 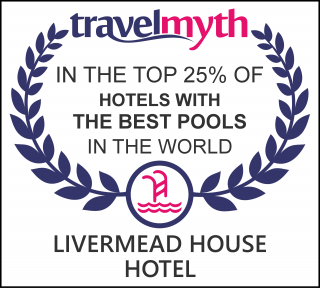 The Livermead House has free Wifi which is available in all areas of the hotel and rooms. Yes, all bedrooms have a hairdryer. Do you have an ironing board? Yes, Just contact Reception to have an iron and ironing board brought to your room. Is there a babysitting service at your hotel? Unfortunately The Livermead house does not offer baby sitting or a baby listening service. Yes room service is available at The Livermead House. Is there a lift and disabled access in your hotel? Yes The Livermead House does have lifts and disabled access. If you have difficulty getting around and would like one of our easily accessible rooms, please contact our Reservations Team on 01803 294361 so we can select the best room and best rate for you.